How are the Great Lakes still causing lake snow? We're more than a third of the way through February, and we're still talking about lake effect snow from Michigan to Upstate New York. In a typical year, lake effect snow is strictly a late fall and early winter phenomenon. 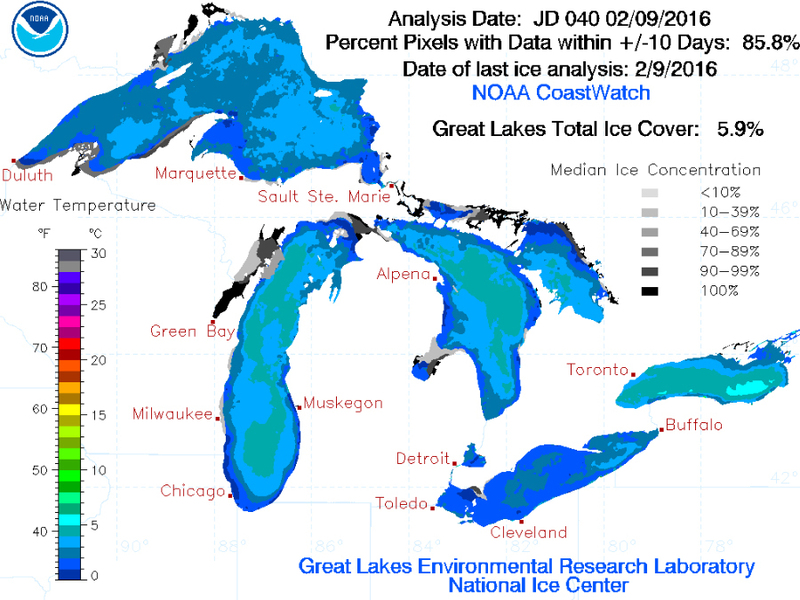 After that, all of the Great Lakes are typically frozen over — or at least mostly frozen. That hasn't been the case this year — in part thanks to the current El Niño . The mild end of autumn and beginning of winter have kept the lakes mostly unfrozen through the majority of the season. The most ice on the lake has only reached 10 percent. As long as the lakes remain unfrozen, places prone to lake-effect snow are likely to see some snow every time the air cools down and the winds shift into just the right place. 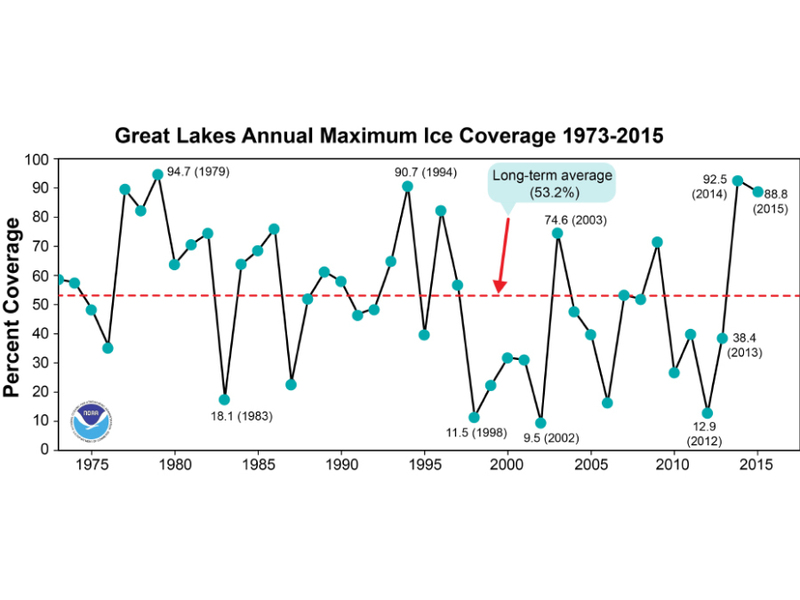 This little ice hasn't been seen on the Great Lakes since 2012, and this year will likely be the fourth least icy on record. At any given time, the total ice coverage has only surpassed 20 percent for about a week's worth of time. The current cold spell in the Great Lakes Region will likely cause more ice to form, but not enough to shut off the lake effect snow that's expected to fall off and on throughout the rest of the week.